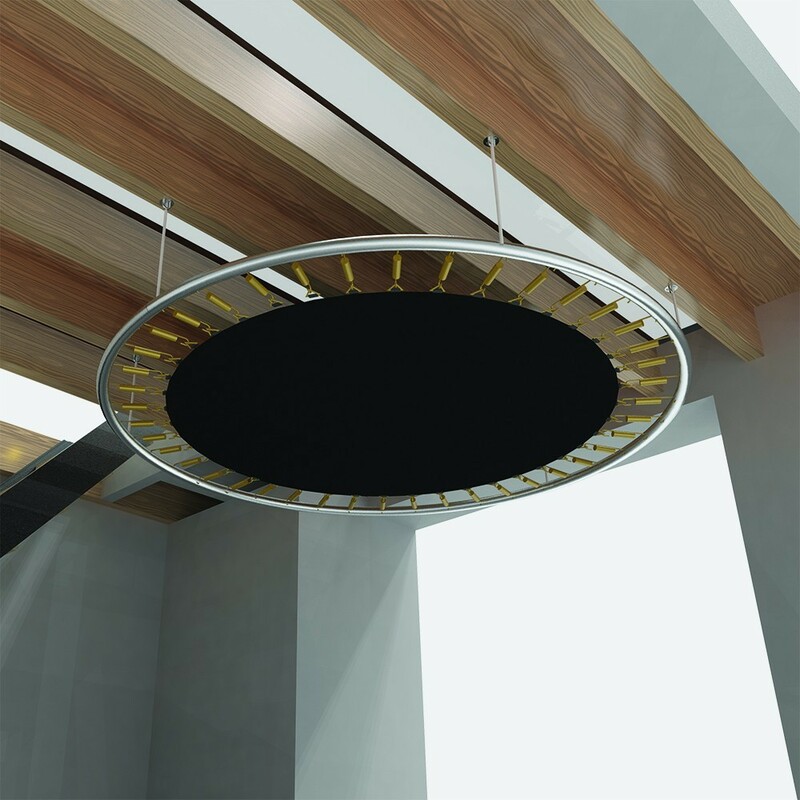 Garage storage unit to hang from your ceiling with a 305cm diameter using a piton eye screw fixing system. Are you looking for a larger storage space? 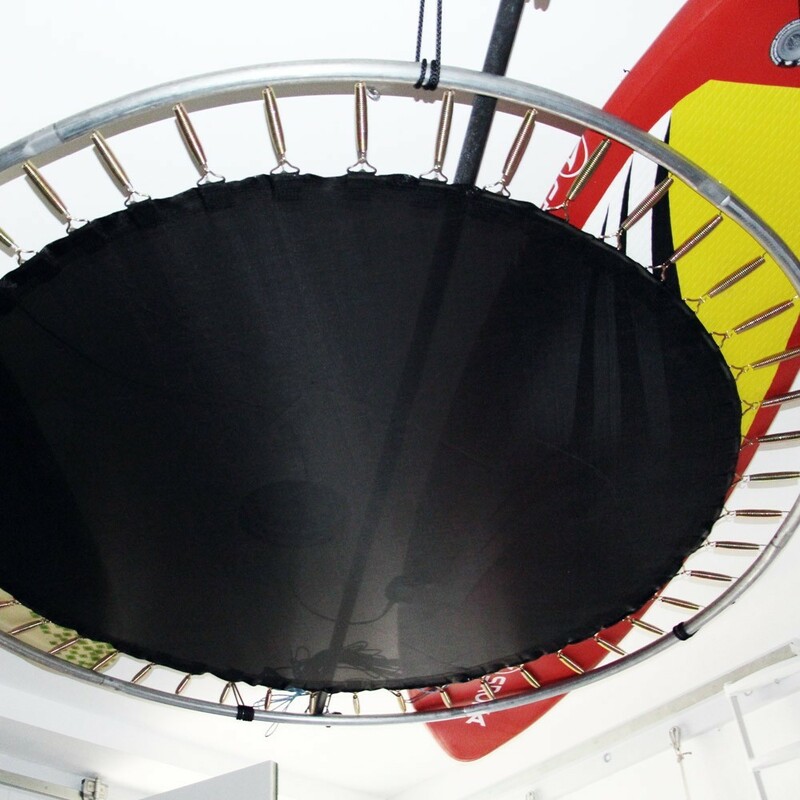 France Trampoline offers this garage storage unit that you can hang from your ceiling. 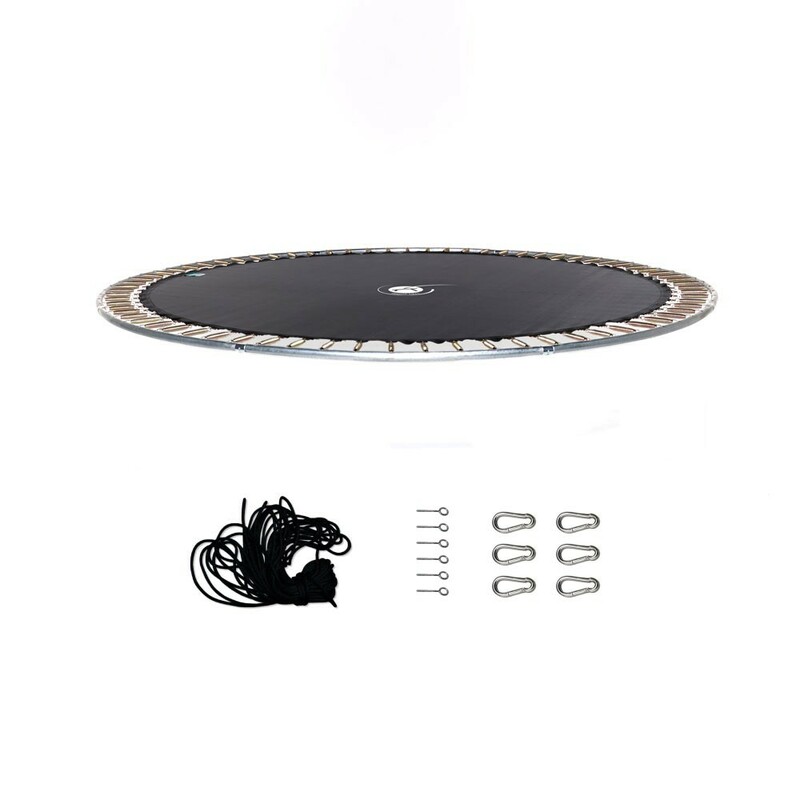 - Maximum load of 100kg, this garage storage space allows you to store your voluminous and bulky object with its large 305cm diameter. 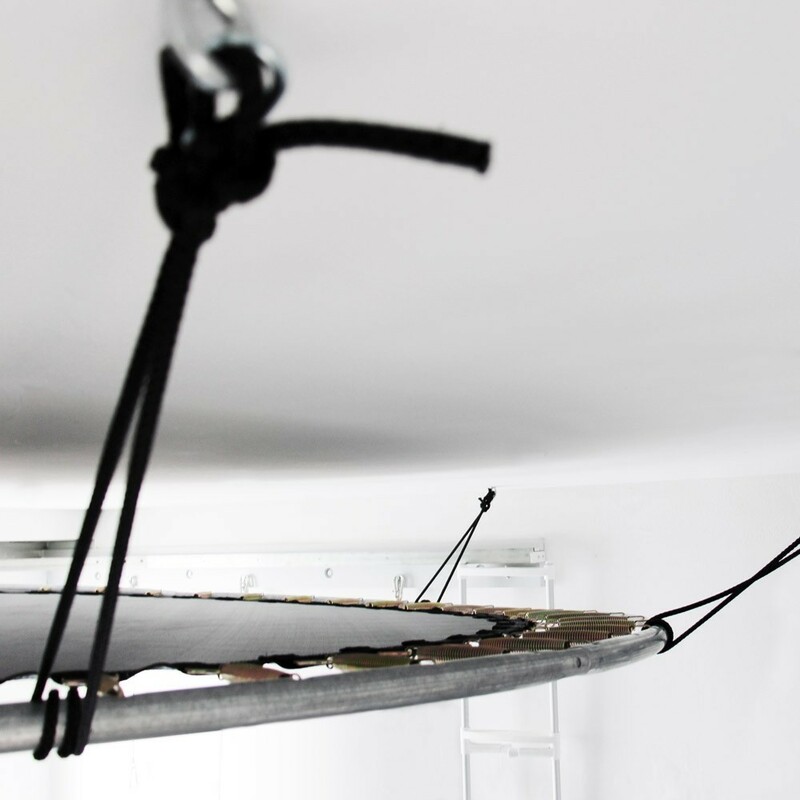 - Galvanised steel frame and reinforced canvas: Made from the same robust materials as our leisure trampolines, this garage storage unit will resist to moisture and harsh winter conditions thanks to the anti-corrosion treatment it has received. 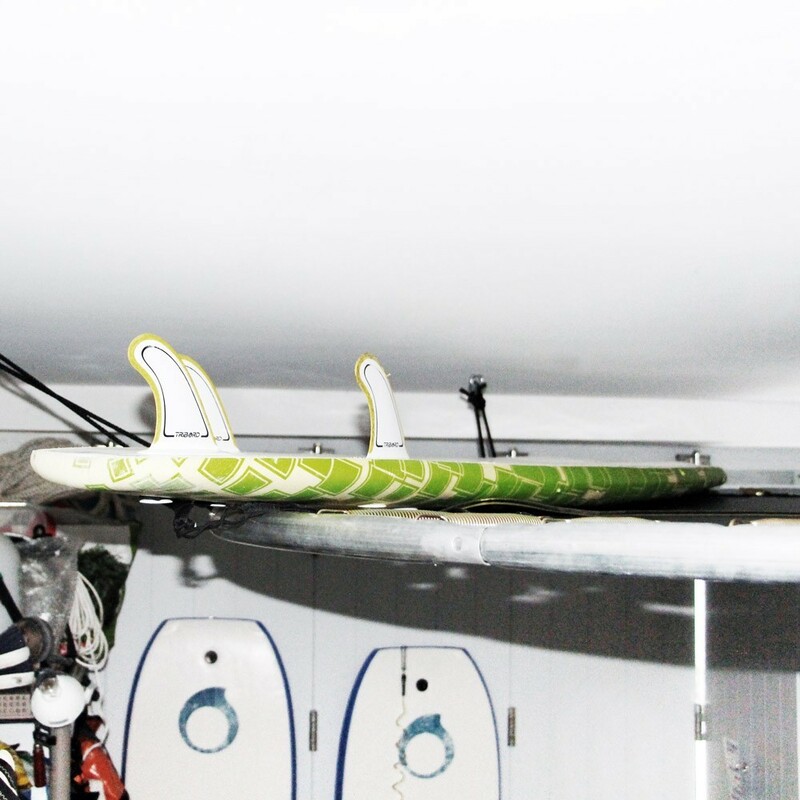 - An adjustable height: adjust the height of your garage storage depending on the size of objects you want to store there. - Delivered ready to be assembled: we deliver everything necessary to set up your garage storage. 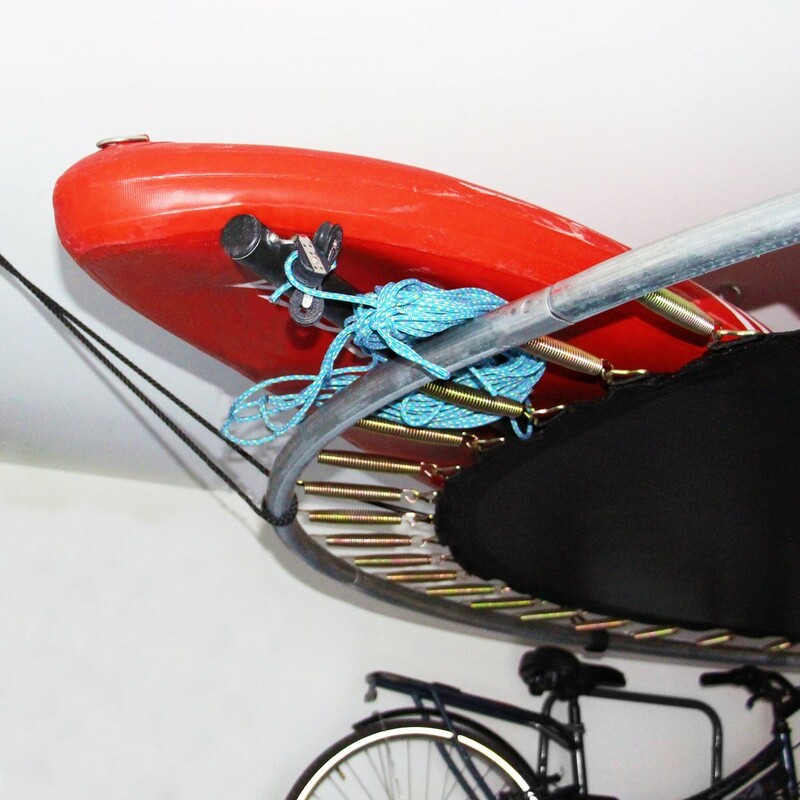 In your parcel you will receive: a frame, stretched canvas, 72 springs, fixing pitons, carabiners and a tension cord. 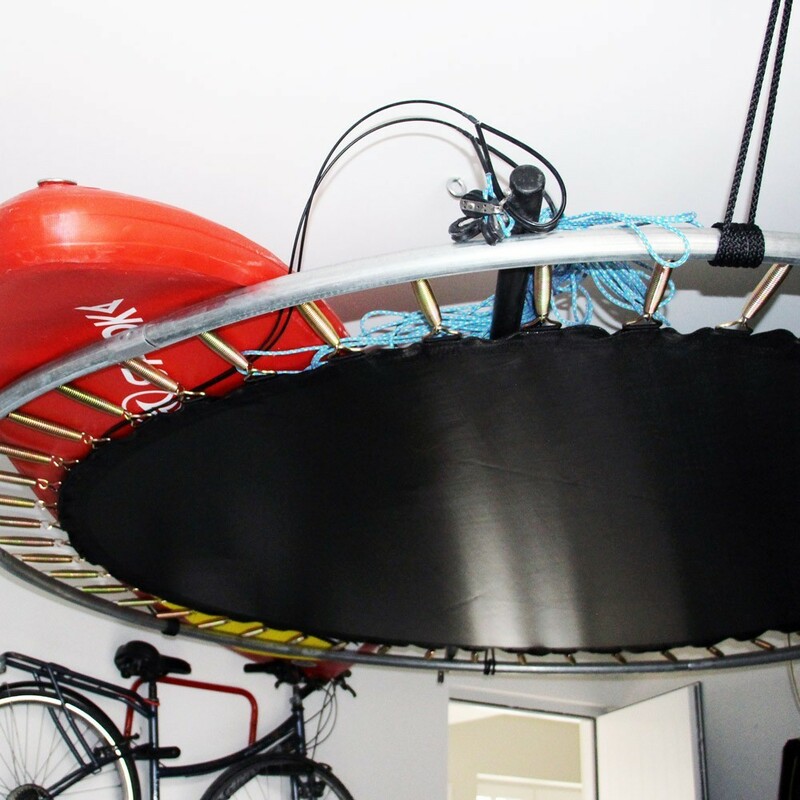 All you need to do is set it up and hang it from a hard surface. 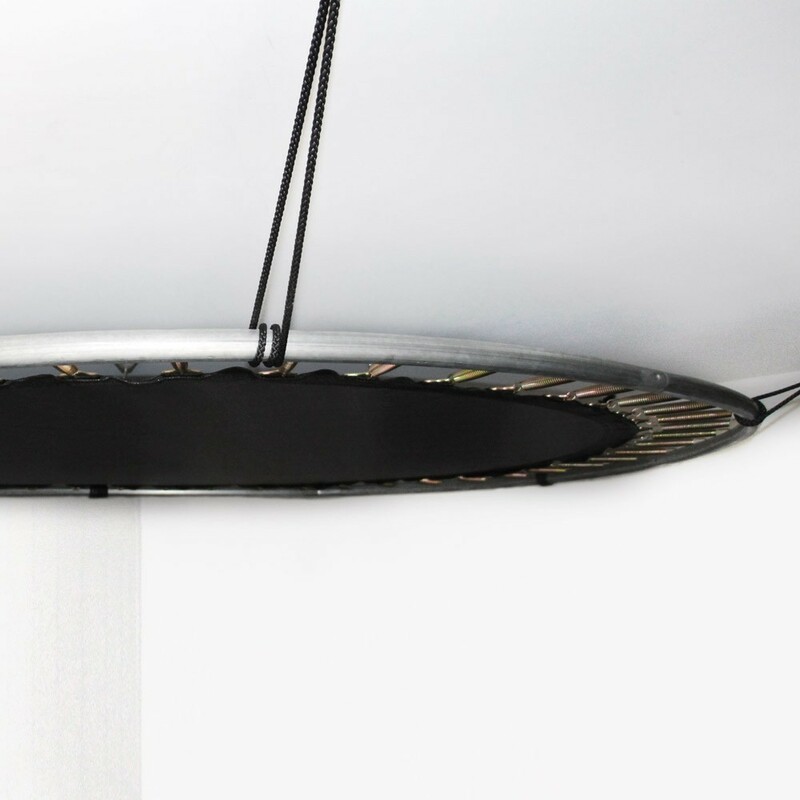 The fixing pitons will allow a secure hold for your garage storage.